Just how many years? 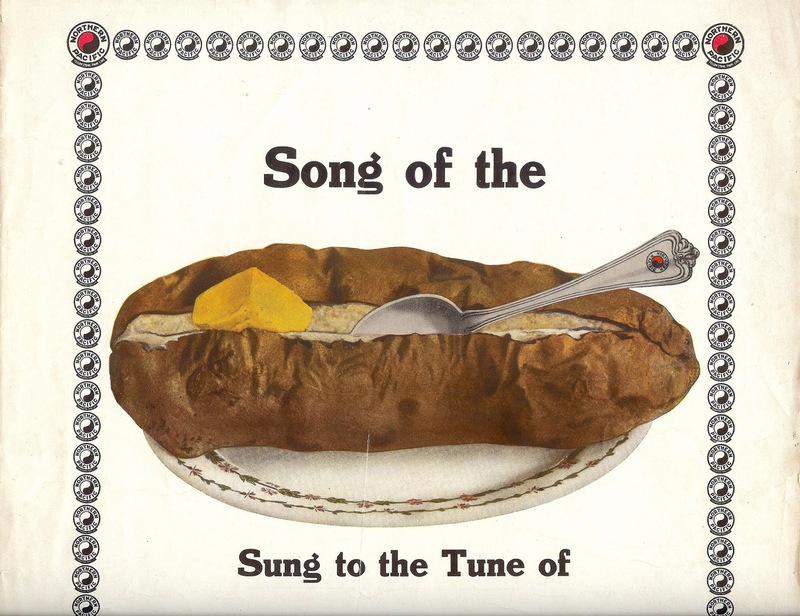 Well, it’s easy to go back more than a century: in 1909, the dining car service of the Northern Pacific Railroad introduced its “Great Big Baked Potato,” weighing in at two pounds! 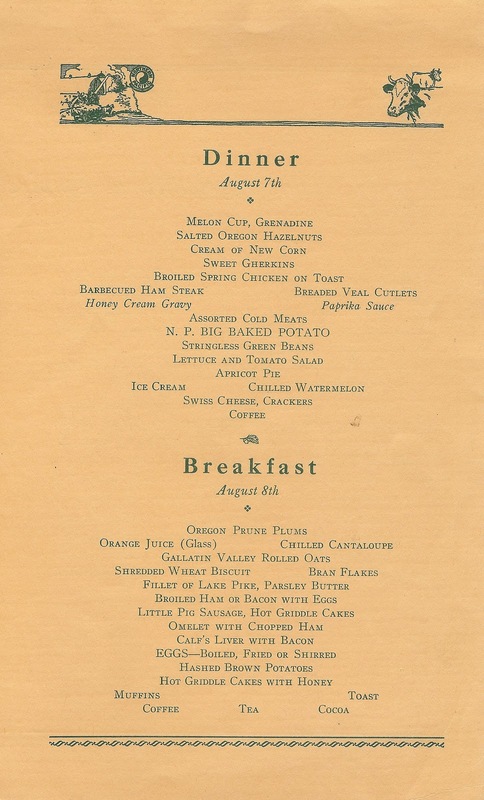 According to William A. McKenzie, author of Dining Car Line to the Pacific, this promotional gambit was instituted by dining car superintendent Hazen J. Titus after he saw some huge Yakima Valley netted gem potatoes that ranged up to five pounds in weight. The lumpy aberrants were difficult to market as foodstuffs, but Titus found they baked up very nicely, and that a 2-pounder slathered in butter caught his customers’ attention. 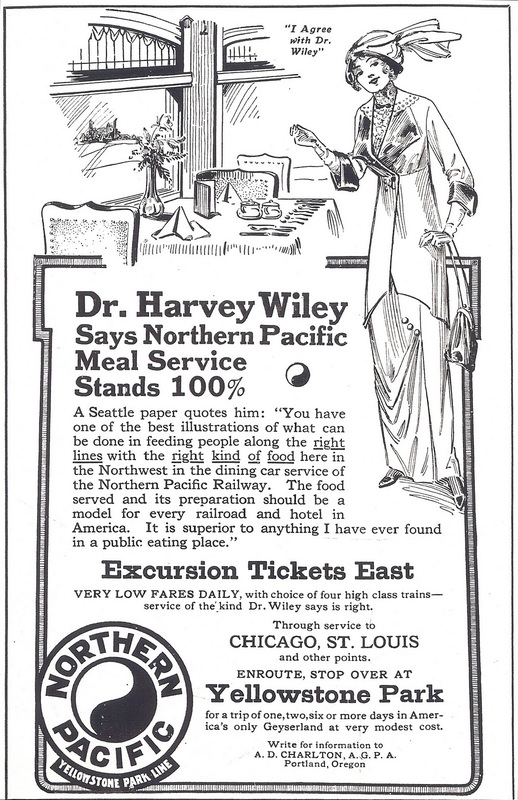 This Washington State product (later Montana supplied them, too) was only the first in a succession of regional food promotions by Northern Pacific. The advertising boosted agricultural shipments for the company’s freight and express services as well as its passenger business. In 1909, NP began its own 52-acre farm near Kent, Washington, and in 1914 their new Seattle commissary boasted a rooftop delight: an electric-lighted, 40-foot-long faux potato whose eyes, “through the electric mechanism, are made to wink constantly.” Inedible, but the ultimate in supersizing. 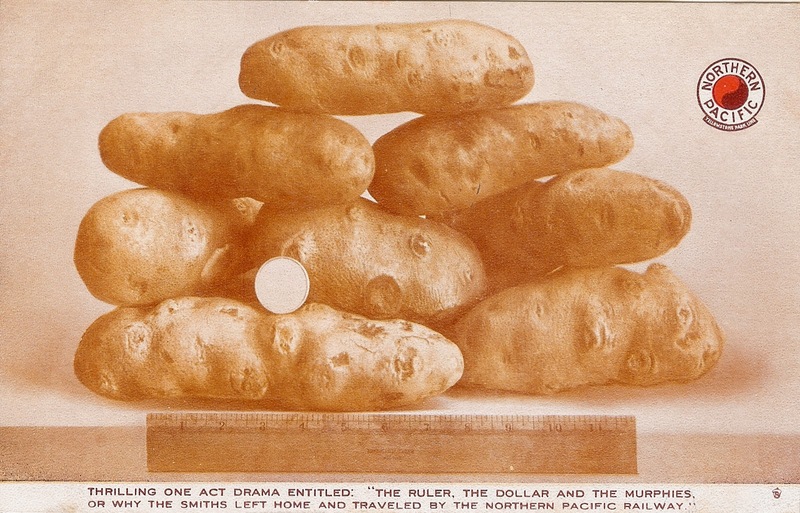 A supersized potato might be a nutritional and dietetic paragon. Unless, of course, it should be slathered in butter (the Northern Pacific churned its own butter each day aboard the dining car). 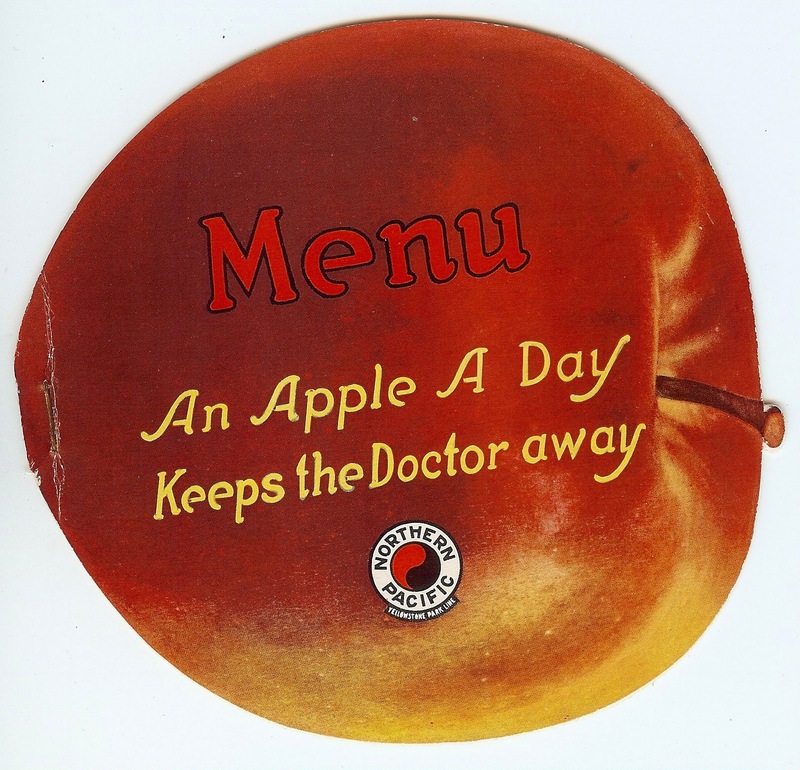 In the 1920s, Northern Pacific heavily promoted big Washington State apples, in particular big apples baked in heavy cream, oh, yes. It’s not just the size, it’s the condiments. So is this a new story, or an extension of a story that’s been playing out, in variations, for many an eon? In Portland, Sayler’s restaurant, opened in 1946, has been pushing its 72-ounce slab of top sirloin beef since 1948. At least it has not gotten any larger. And of course you do know Dr. Harvey Washington Wiley (1844-1930), don’t you? We’re talking about the right kind of food!